Three weeks is plenty of time to experience something new, right? I am already learning the answer to that is no here in Nepal. This is only my second day here and I feel like I am missing out on the beautiful chaos that is Kathmandu. I am itching to get started on my work assignment, but I’m starting to realize there is more that I want to see and do here than I originally realized. Big cities have never really appealed to me. 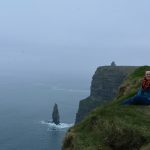 I grew up in a medium-sized city in northern British Columbia, but spent much of my childhood visiting family in smaller towns. The time I spent living in South Korea was spent in a rural fishing village where I could count the number of English speakers on one hand. I never thought I would find myself living in a city of 1.3 million people. I know many of you will say: that doesn’t seem very big compared to other big cities, but let me put it to you this way: the population density of Kathmandu is 20,288 people per square kilometre. To put this in perspective, Vancouver has a population of 2.5 million and has a population density of 5,249 people per square kilometre. The bustling metropolis of Seoul, South Korea has a population of 10 million and a population density of 17,000 people per square kilometre. 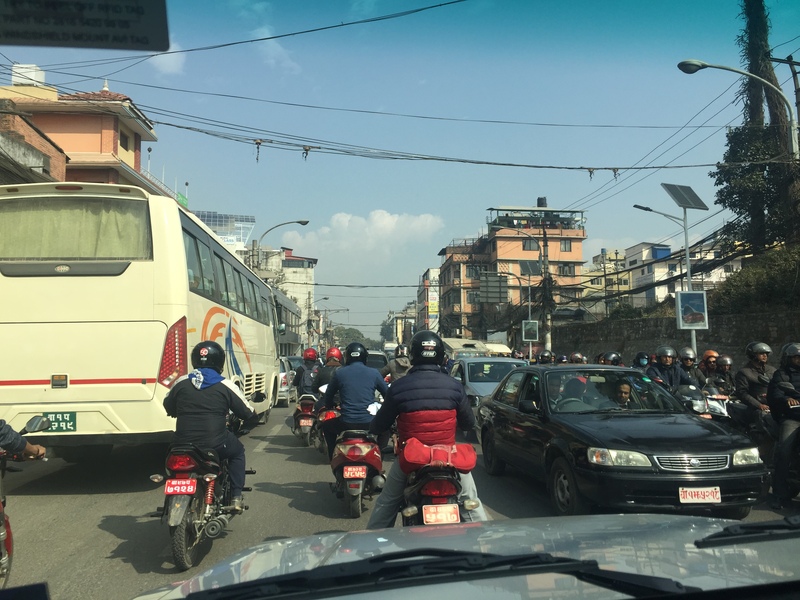 The moral of the story: Kathmandu is a lot of people crammed into a very small space. This means that people are everywhere and traffic is crazy. Even where I am living at the CECI passage house in Baluwatar, the tiny alleys are crammed with people, dogs, cyclists, motorbikes and cars for most of the day. You can always hear horns honking to warn pedestrians of approaching vehicles or warning other vehicles that they are coming around one of the many blind corners. The view of my neighbourhood from the roof of the CECI passage hous. 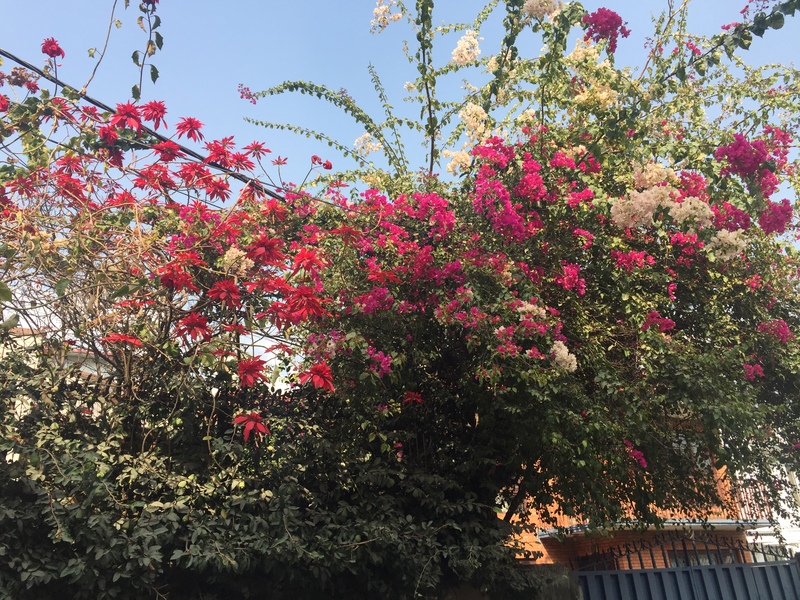 Even amongst all this congestion, there are beautiful gardens and flowers surrounding many of the neighbourhoods. At least this is the case in Baluwatar, I haven’t yet ventured out into the city centre so I can’t say what the rest of the city looks like. 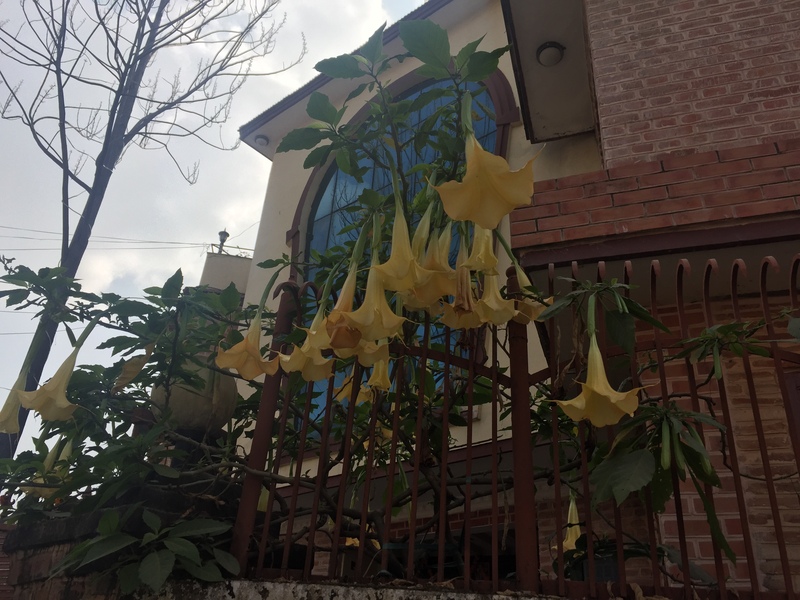 Some of the beautiful flowers surrounding the homes in Baluwatar. I am excited to get started at my work placement and to learn more about Kathmandu. I am beginning to see that there is more to Nepal than mountains and trekking. There is a rich history here just waiting to be discovered.